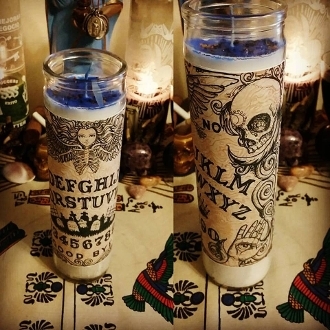 This candle embraces the iconic image of the Ouija board! Dressed with Dittany of Crete, wormwood, myrrh resin and more. Designed to open avenues of communication with your guides and ancestors.